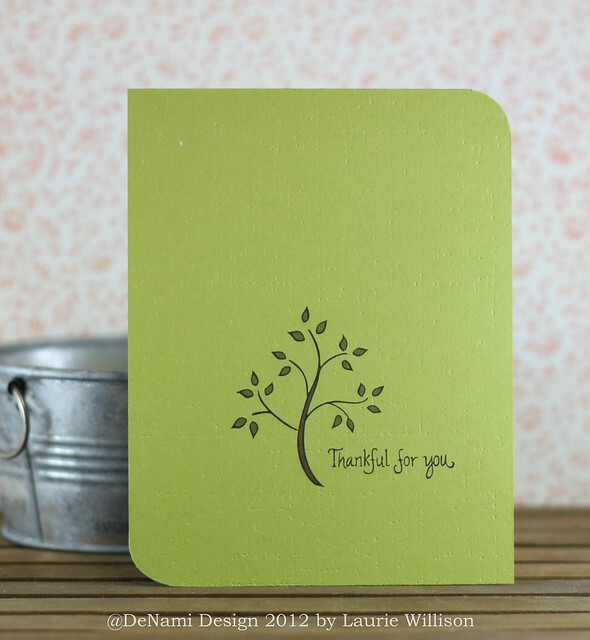 I used this Leafy Tree for the main image and then my favorite "Thankful for you" sentiment. Then I added some Copic coloring, some texture and some rounded corners. Easy peasy right? I hope you can play along! 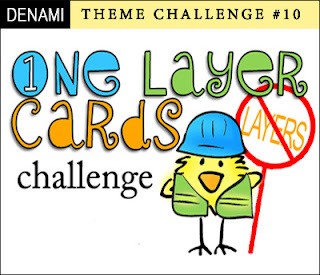 Check out the DeNami blog to see the other girls' One Layer creations! And then add your link as well! Perfection Laurie! This is my fav sentiment from DeNami, love the font. Oooh! I love green and nature so this card is right up my alley :) Wonderfully done! One layer cards are my fav! Yours is definitely gorgeous, Laurie!! Lauirie - this is CAS at it's best. Gorgeous! A one layer card is a challenge and your sure pulled it off wonderfully! One layer card is awesome idea,looking so decent. This is beautiful! I love the opposite side rounded corners - striking!!! Super simple, super sweet! Love that you stamped it on a green background and colored with a darker green!